Hotels are called “home away from home” because it’s the only place where we get food & accommodation, provided all luxuries and comfort. 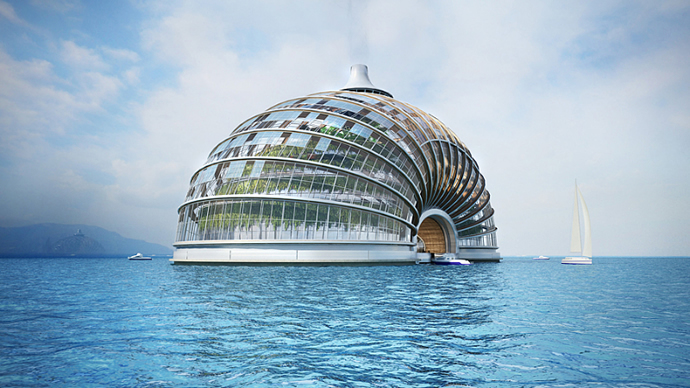 Hotels of the future; what would they be like – on land, in water, under water, floating, or in space? The technology used in these hotels would include robotics, nanotechnology, and biometric security, such as retina scans. Some of the hotels below are conceptual; some are nearing completion, while some are already viable. 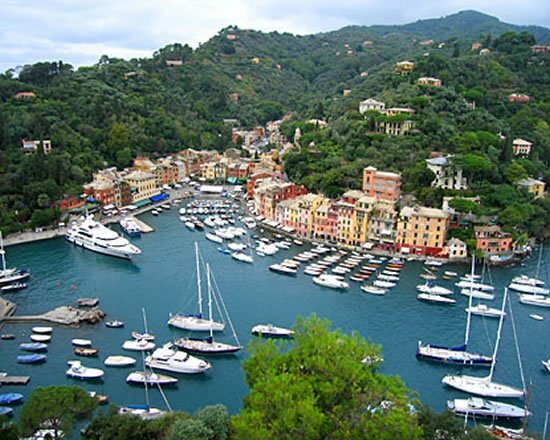 Here is a list of hotels, we think, will satiate your demand for profuse opulence. 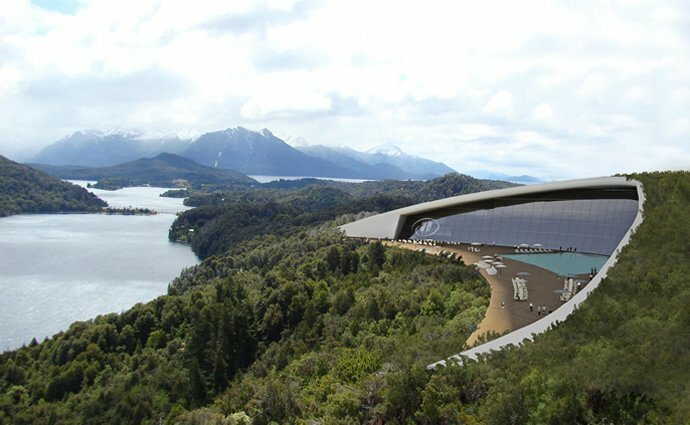 There is a degree of controversy surrounding the potential Hilton-branded hotel in Bariloche. The Portuguese group IMOCOM presented its Argentinean project as eco-friendly largely based on the way the hotel blends into its surrounds. Supporters of the hotel want to develop tourism in the area, while detractors are concerned about the visual and ecological impact of a property in the stunning mountains. The eye-shaped building was designed by well known Argentinean architect Mario Roberto Alvarez. We put it in our list because of the way Alvarez has used his skill to design a stunning, functional property that is looking to address the concerns of environmentalists. Increasingly, designers of hotels will have to address environmental concerns and this is bound to have an impact on the way hotels look, feel and function. The foldable and fully transportable pods are for those traveling geeks who find it hard to shun all the amenities of their luxurious life. You can move the pods to exotic locations around the world and the amazing concept abodes will come with ‘Active’ walls and floors where guests can focus images of their choice and a disposable unit to care of all waste. If the apocalypse occurred while you were on vacation in the Ark Hotel, you’d be lucky indeed. 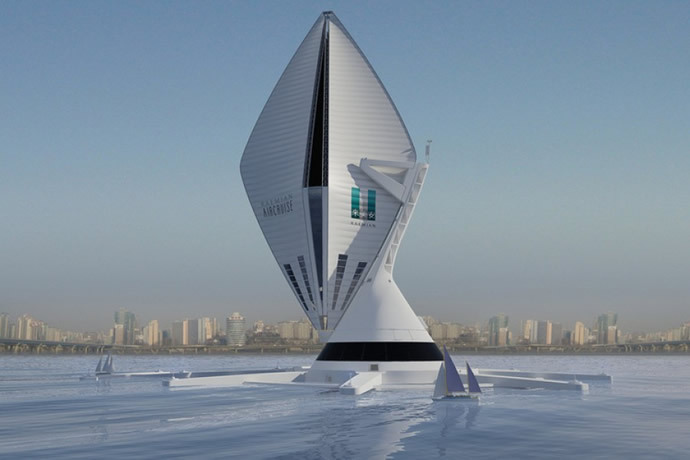 The Ark, by Russian architectural firm Remistudio, is a man-made biosphere that can withstand floods, tidal waves, rising sea levels, earthquakes and other natural disasters. It was designed to be set into the ground, and would float when the water rose. The internal garden would provide food for guests. UK-based company Seymourpowell said the Aircruise would be a giant, vertical airship carrying travellers in style and luxury. At 265 meters tall from base to tip and capable of lifting 396 tons, it will feature penthouse apartments, bars and viewing floors. 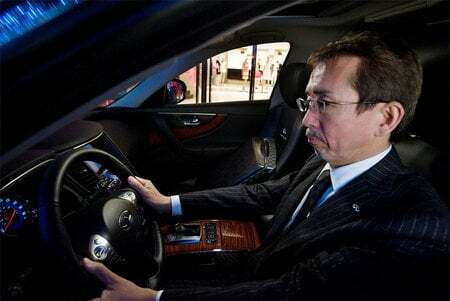 The company has designed a detailed technical specification for the aircraft, which will use hydrogen and solar power. 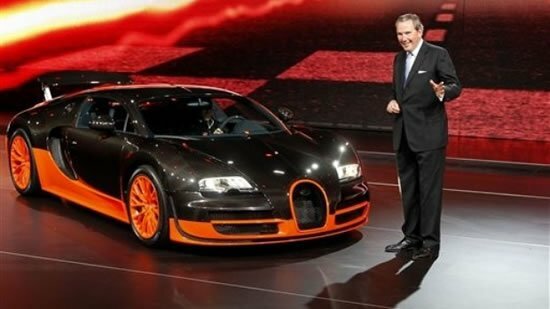 It is estimated the craft will travel from London to New York in approximately 37 hours with a cruising speed without tail or headwind of 100 to 150 km/h. While the implications of rising sea levels have led some to look down, others have looked up. Aeros and WATG are co-developing a flying hotel complete with staterooms, restaurants and shops. 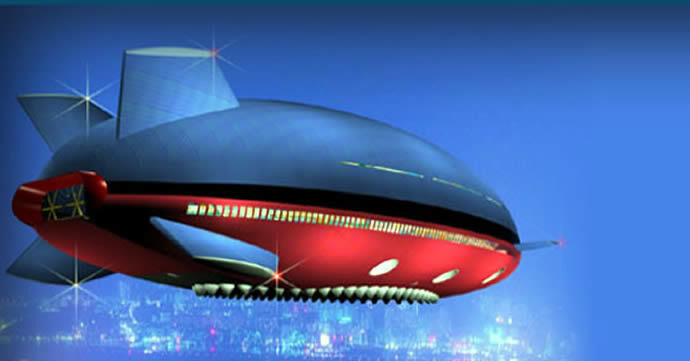 While it may look like a blimp, the hotel will utilize a liftoff like a plan and land like a helicopter. Furthermore, sections of the flooring will be transparent, offering views of wherever your hotel is taking you. 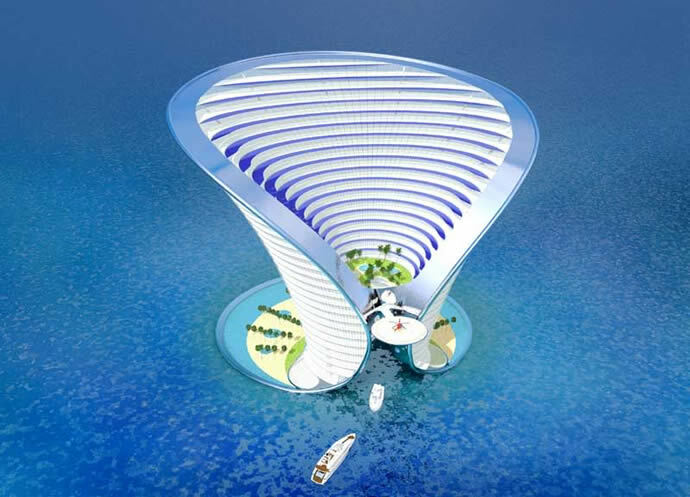 This 200m-wide and 65m-high structure is a synthetic hotel island. 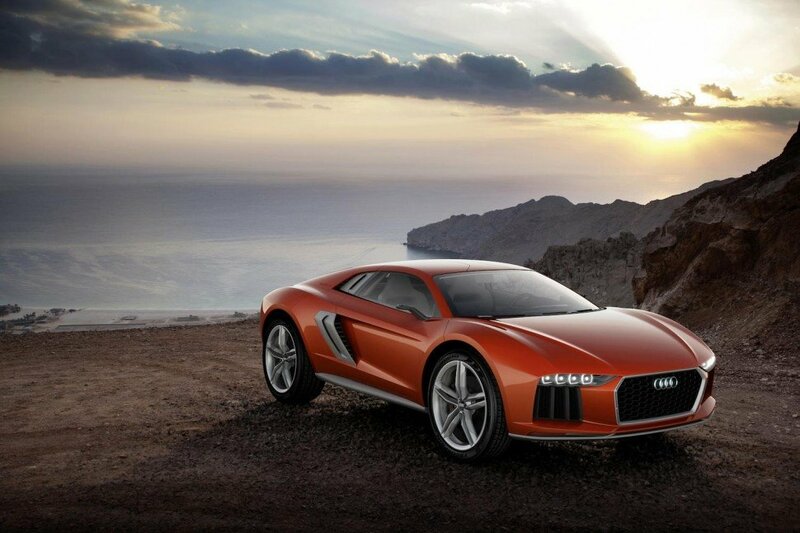 Designed by Russian Architect Alexander Asadov, the concept is trumpeting its green credentials. 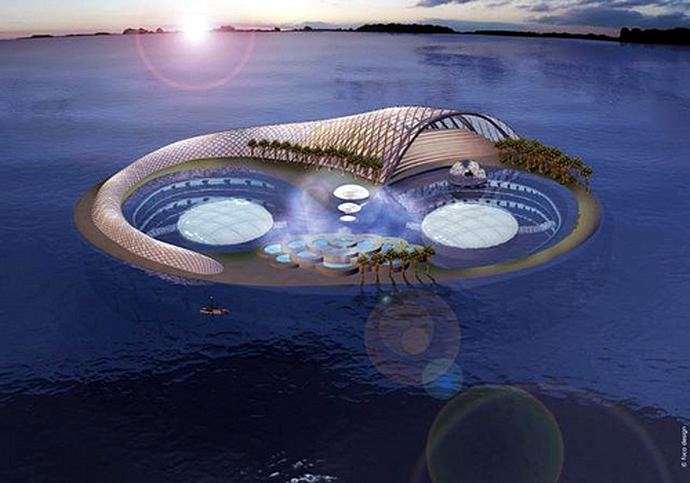 Unlike man-made islands, the construction cost of the Aerotel would be far less, but most importantly, the design allows for the water below the hotel to remain untouched. Environmentalists and owners can rest easy at night. that we’re around 60% water endeavors to deliver the serene beauty of the ocean in its true colors. 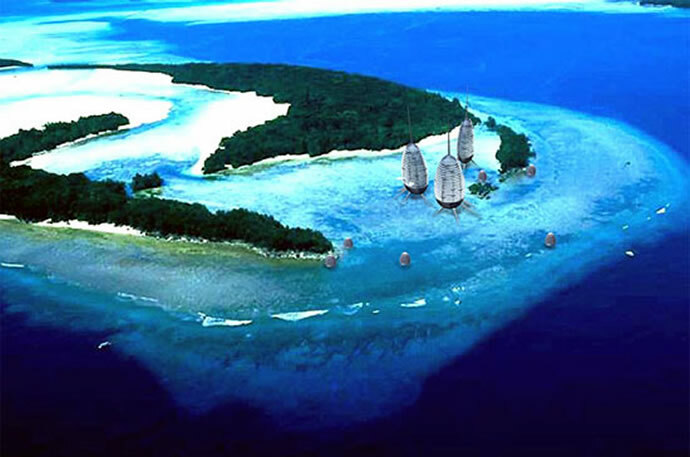 The one of its kind resort will encompass a whopping 1.1-million-square-foot of area offering shopping mall, ballroom, island villas, restaurant, high-tech cinema and surprisingly, a missile-defense system for your security 60-feet underwater. 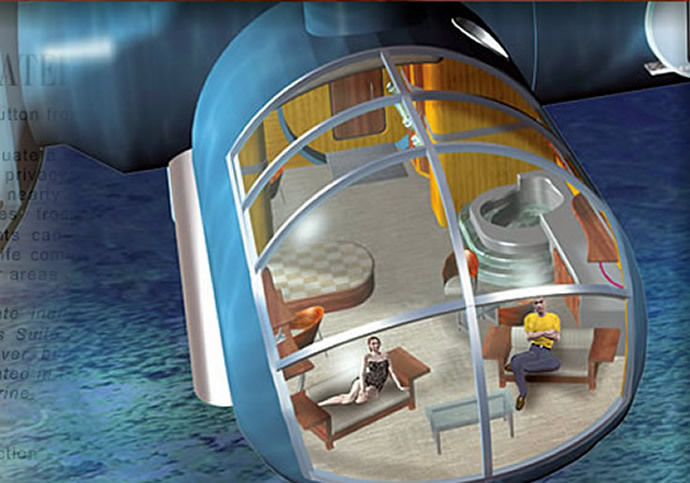 Tourists can enjoy their stay in 220 theme suites within the submarine leisure complex. It is one of the largest contemporary construction projects in the world, covering an area of 260 hectares, about the size of London’s Hyde Park. The resort is designed with a petal-like retracting roof to organize open-sky events. Around 150 firms are involved in the project, which is expected to complete this year if all technical, land, and financial challenges are met, but it’s delayed as per the latest reports. 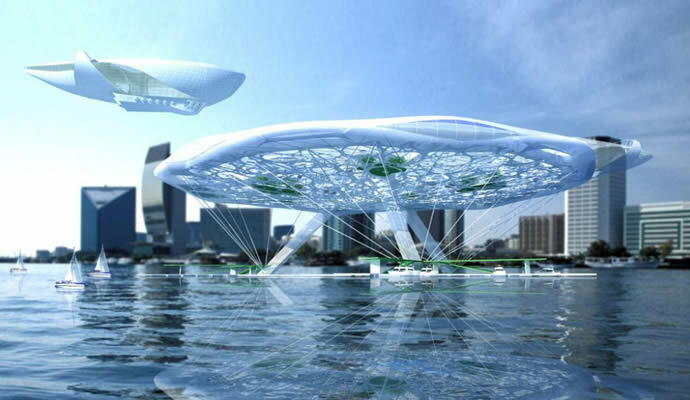 Following the line and determined of the success of the Hydropolis, Crescent-Hydropolis is now planning a chain of underwater hotels around the world. 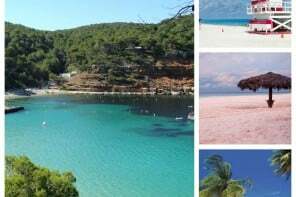 The ‘Apeiron’ island hotel is a seven star resort with a total floor area of 200,000m. 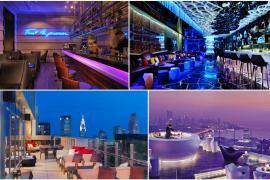 It is 185-m high and boasts of over 350 luxury apartment suites. The hi-tech futuristic hotel screams of luxury and comfort with its own private lagoon, beaches, restaurants, cinemas, retail shopping, art gallery, spas and conference facilities. 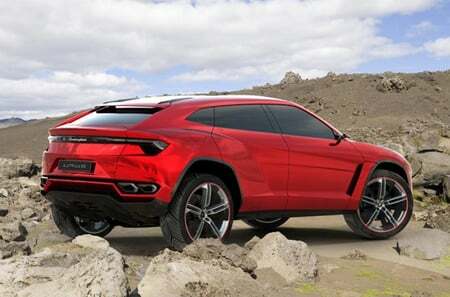 Its out of the world design is magnetic enough to deliver a spell-bounded experience to visitors. Nothing beats a holiday to the moon. 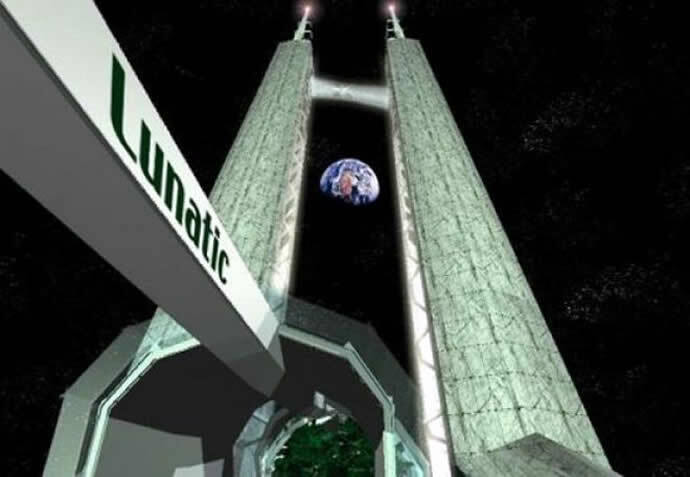 Set to be completed by 2050, The Lunatic Hotel, will, no doubt, be the first hotel on our closest space neighbors. Orbiting through space with a spectacular view of the Blue Planet, The Lunatic Hotel, will allow tourists to indulge in low-gravity games with the help of two 160-meters high slanting towers. The towers will be equipped with teardrop-shaped ‘habitation capsules’ which will serve as spaceship like suits for tourists. The cost of launching tons of steel and water to the Moon is still a major challenge, but according to Rombaut, a good portion of the construction materials can be manufactured right on the Moon itself, using existing minerals and ores. If this concept is materialized, we can expect more than just a hotel on the moon. Next article24 karat gold Vallure Vodka debuts in the U.S.